Top quality dog pack ideal for urban and outdoor adventures. 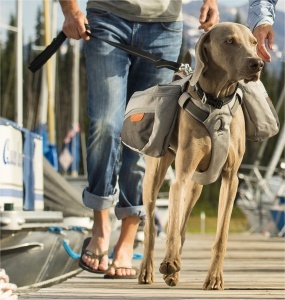 The Ruffwear Commuter Pack is a classic everyday rucksack with a clean, traditional design that incorporates Ruffwear performance features. The Commuter is at home in urban environments as well as on the trail. A full martingale chest panel provides a comfortable fit, pack stability and overall performance. 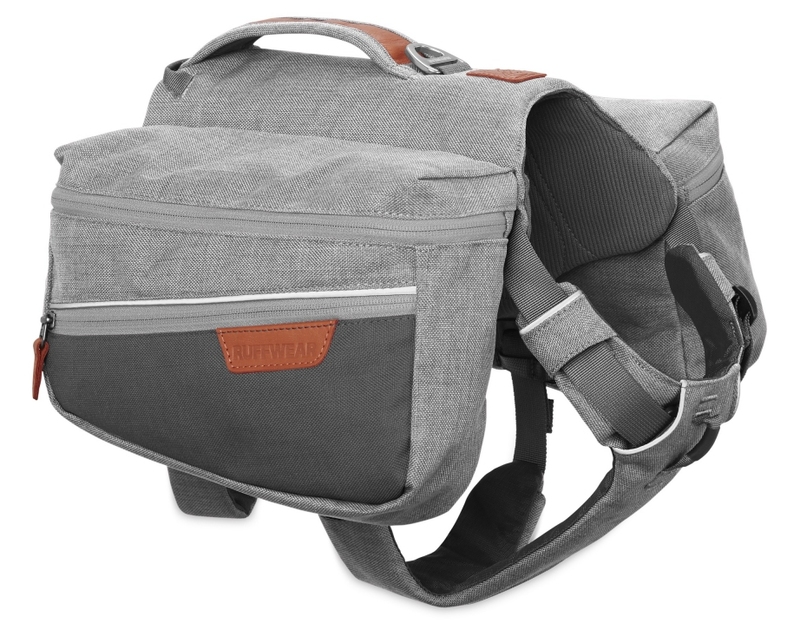 Heathered polyester fabric presents a heritage style that excels in the outdoors, while leather accents, aluminium V-ring, webbing tow loop, and side-release buckles modernise a classic look. Recommeded carrying weight is no more than 25-30% of the dog's bodyweight. Start with a light load weight and work upwards as they get used to carrying it.